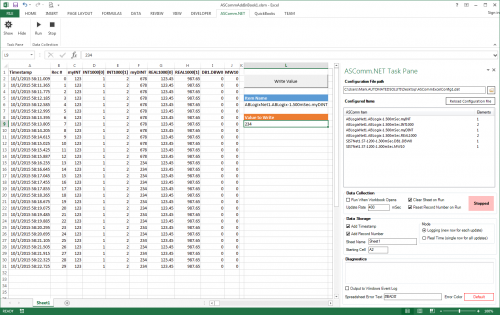 ASComm Excel Add-in is a simple to use, non-programmatic way to populate Excel 2007 - 2016 spreadsheets with data from PLCs, instrumentation, and other process hardware. 3.6.8.1 Fixed installer omission. Registry entry to register Excel Add-in was unintentionally omitted.